For those who love the Little Prince, there the opportunity to visit a special exposition set in the Oca, in the Ibirapuera Park. The aim of the organizers is to provide family leisure, contemplation, reflection and especially the message of love for the environment, through ethical, ecological and social work contained in The Little Prince. Saint-Exupéry was a man of action, and also a visionary writer, who already argued in the 1930s and 40s, the themes of sustainability and biodiversity. 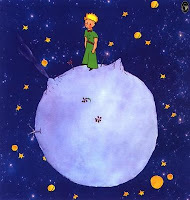 The Little Prince exposition will give visitors the opportunity to discover the beauty of the world and will be a transforming and positive experience, showing that we can enjoy ourselves, consume and move in a conscious manner, without losing the respect for people and the planet. Very interesting, not to miss but hurry up, it will be in Sao Paulo just untill December the 20th!